Free and Reduced Lunch Free and reduced lunch forms will be sent home at Open House or during the first of each school year and are available here. Special Education Law Please check weekly Newsletter for updates and more information regarding your rights and policies for Special Education. Policies and Procedures STEP UP Special Education Policies and Procedures are available for review. Child Find STEP UP will ensure that all children with disabilities attending STEP UP, including children with disabilities who are homeless or wards of the State, and children with disabilities attending private schools or who are home schooled, and who are in need of special education and related services are identified, located and evaluated (300.111). Meeting Board of Directors meetings are held every other month with specific dates listed here. F.E.R.P.A Per F.E.R.P.A. requirements, parents have rights to their student’s records and files. Please contact the school with any questions or requests. 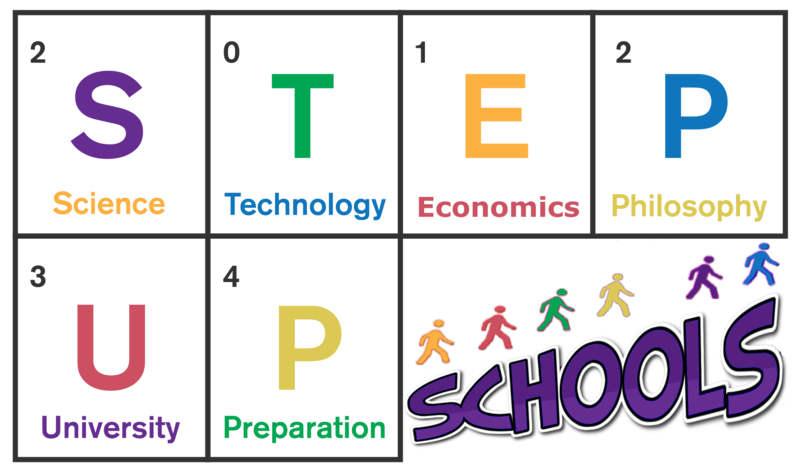 Enrollment Opportunities STEP UP provides equal opportunity to all employees and enrolled students and is not biased regarding race, gender, ethnicity, religion, language proficiency or disability. Open Enrollment STEP UP ensures that it complies with all open enrollment requirements per state law. STEP UP uses a lottery system for filling openings and no tuition is required. Political Activities STEP UP ensures that it does not use its forum or student base to promote any political activities or position.